1968. 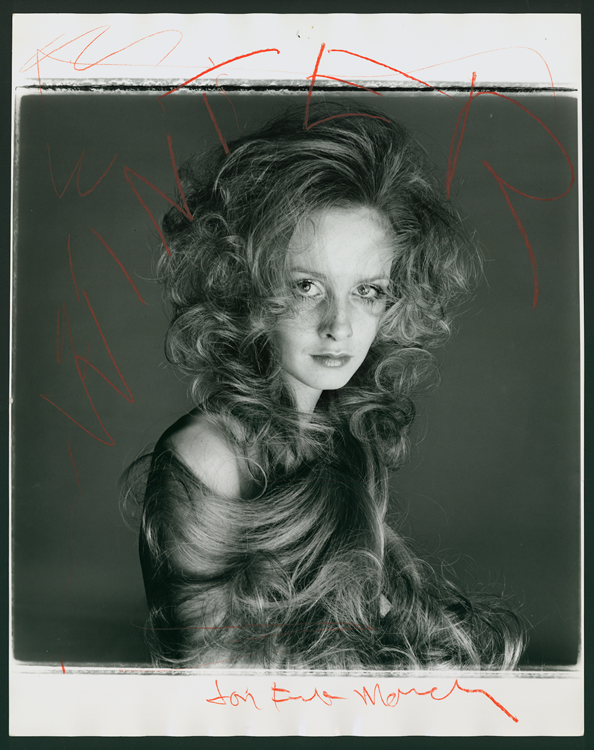 A working print of a variant of a photo of Twiggy that appeared on page 60 of the July issue of Vogue. The wax crayon annotation reads “WINTER” and “Jon Frieda March”. Photo by Richard Avedon.